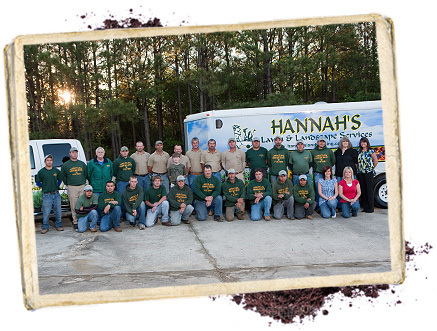 Hannah’s Lawn & Landscape Service started in 1989 as a one-man operation and has grown to a crew of more than 30 during peak season. We are a service-based business and our intentions are to fully satisfy our customers. Our company experience has been obtained through years of hands-on training in lawn maintenance, landscaping, and irrigation work. Each employee is equipped with the tools, techniques and products to provide superior service in a timely manner. Our team includes several experts in the field which consist of a licensed landscape contractor, registered landscape architect, certified plantsman, certified irrigation and lighting expert, as well as all of our project supervisors that have many years of experience. We are licensed to work in Hartselle, Decatur, Priceville, Trinity, Huntsville and surrounding areas. All necessary licenses have been obtained and are current. We have workers compensation and liability insurance.